As another year comes to a close, we begin to reflect on the past and what changes we would like to make in the upcoming year. Particularly after the holidays, a new year is important time to take a look at our financial health (especially since our bank books are probably a little worse for wear). 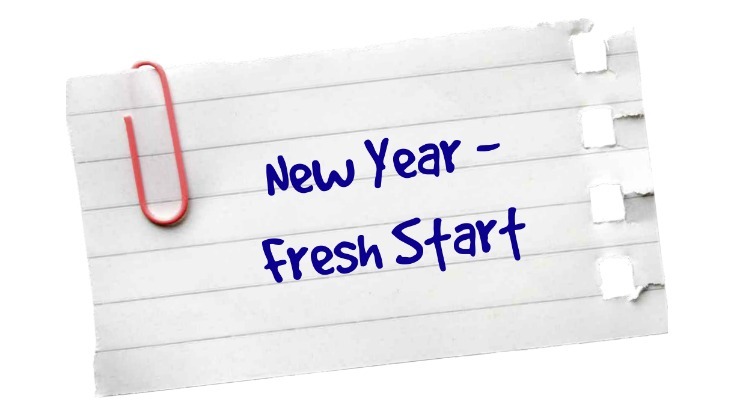 Finances are a great place to start fresh at the beginning of a new year. Just by starting to make some financial resolutions, it can help make financial decisions seem less daunting. Not only does getting your finances in order sound like a great idea, but keeping your finances fit can also help you to feel better by alleviating some of your current financial worries. This sounds so easy right? What makes it more difficult is that everyone has monthly expenses and you need a place to live and eat. However, even when it comes to your monthly expenses there are ways to spend less. For example, try shopping around for lower-priced cell phone service or TV/internet services. You can also try stocking up on everyday staples such as paper towels when they are on sale. The best way to spend less is to know what you are actually spending in the first place. Check out our New Year’s Cash Flow Management Sheet to see where your money is actually going. Once you have looked at your spending it will be easy to see where you can save more. The key to saving more is to implement a savings plan that will help you stay disciplined when it comes to your savings goals. One of the simplest ways to ensure you save regularly is to make it automatic. For example, one great way to save is to set up a pre-authorized monthly plan that is tied to your pay cheques that way the money disappears as soon as it hits your bank account and you get used to starting with a lower monthly budget right away. Take the time this year to become an active participant in the management of your wealth. Set up a meeting to speak with your advisor and make sure your investment mix has an appropriate level of risk and growth potential. Make sure your investment mix still meets your needs and does not need to be rebalanced. Also the beginning of a new year is a great time to update your advisor on any big changes that have occurred in your life such as a new job or you moved to a new home. You probably have a variety of debt, like most Canadians do, consisting of a variety of things like student loans, credit card balances, car loans and mortgages. You probably have a large portion of your income already dedicated to your monthly debt payments. You should take a look at your account statements and see which of your debts you are paying the highest interest on. Try to make the highest interest debts your focus for repayment. If you are just using room on a credit card or a line of credit to use as an emergency fund, you are probably in a vicious cycle. By creating an emergency fund, you can rely on that money when something comes up (like the furnace breaking down) as opposed to relying on increasing debt. You should have at least 3 months of expenses covered in your emergency fund account. Trying to navigate your financial life without a budget is like trying to drive a car without a gas gauge and odometer. You will never know if you can make it your next fill-up without running out. A budget can help you allocate your funds between essential categories such as essential spending, retirement savings and short-term savings. If you have a set budget, it will be easy to get into a cash flow routine that will help you fix your finances in the long-term. Start off the New Year on the right track by just taking a few minutes of your time to actually look at your finances. Stop just opening bills and reading the minimum balance due every month. Take charge of your finances and start the New Year with financial peace of mind. 5. Judgements are a confession of character. 12. What goes around, comes around. *Source: Fidelity Investments. 10 Resolutions for 2016 – and how to get started. Dec 8, 2015. Web.